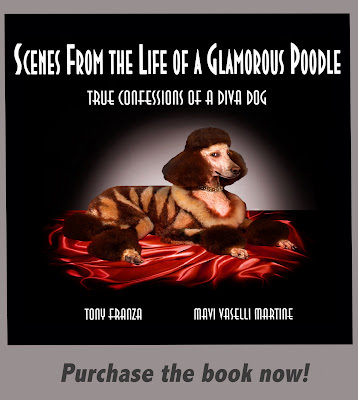 Divine Diva Studio launches the release of their new book “Scenes from the Life of a Glamorous Poodle: True Confessions of a Diva Dog” with a very special event hosted by Central Market North located at 4001 North Lamar Blvd. Austin, TX 78756 on Friday, May 29. Featured will be a Red Carpet Fashion Show with one of a kind living art creations on dogs. The talented artists behind these divine canine works of art are Mavi Vaselli Martine and Tony Franza who formed “Divine Diva Studio”. The process done on the Diva Dogs is all natural, non-toxic and when combined with intricate sculpting of the fur creates the most beautiful and stunning effects on these proud models! Fashion show begins promptly at 7:30 pm immediately followed by the book signing. 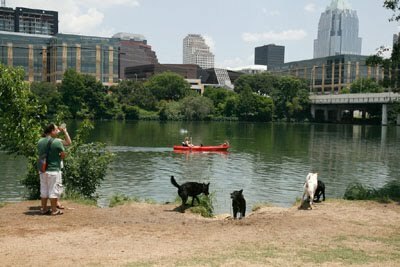 Proceeds from the book signing sales will be donated to Austin Dog Alliance a non-profit organization dedicated to dog placement, training, and educating pet owners.